Silver is a soft white metal element with the symbol Ag and atomic number of 47. It is slightly harder than gold with a bright white metallic luster that can take a high degree of polish. It has the highest electrical conductivity, but its greater cost and tendency to tarnish have prevented it from being widely used in electrical applications. Most silver is produced as a by-product of copper, gold, lead, and zinc refining. Silver has long been valued as a precious metal, and it is used to make ornaments, jewelry, high-value tableware, utensils (hence the term silverware), and coins. Today, silver metal is also used in electrical contacts and conductors, in mirrors and in catalysis of chemical reactions. It's compounds are used in photographic film and dilute silver nitrate solutions and other silver compounds are used as disinfectants and microbiocides. Silver is a constituent of almost all colored karat gold alloys and karat gold solders, giving the alloys paler color and greater hardness. White 9 karat gold contains 62.5% silver and 37.5% gold, while 22 karat gold contains up to 8.4% silver or 8.4% copper. In the US, only an alloy consisting of at least 92.5% pure silver can be marketed as "silver" (thus frequently stamped "925"). Pure silver is relatively soft, malleable, and easily damaged so it is typcially combined with other metals to produce a product with more durability. The most popular of these alloys is sterling silver, which contains 92.5% silver by weight and 7.5% other metals by weight. Many types of metal can make up the 7.5% non-silver portion of sterling silver. Copper is usually alloyed with silver to give the resulting alloy improved strength and hardness without affecting its beautiful color. Other metals are sometimes used in place of copper to achieve specific desired qualities in the resulting alloy such as resistence to tarnish. Sterling silver is most often used for jewelry and household accessories because of its combination of beauty and durability. 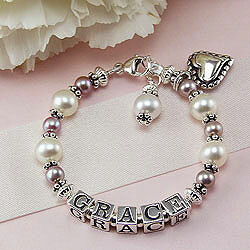 Sterling silver jewelry is sometimes plated with a thin coat of .999 fine silver to give the item a shiny finish. This process is called "flashing". Silver jewelry can also be plated with rhodium (for a bright, shiny look nearly identical to silver) or gold. Rhodium coating on silver is becoming popular to prevent tarnish and increase durability. Rhodium is a much harder element than silver thus providing increased scratch resistence as well. 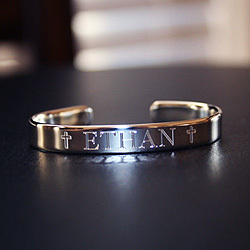 Most high quality silver items are stamped with a hallmark or fineness mark. This stamp of quality specifies the precious metal content of the jewelry. Often the manufacturer and/or country of origin are also included. The United States adopted sterling silver (92.5 percent pure) as the standard of purity in 1868. After the adoption of the sterling standard, pieces were marked with "STERLING", the abbreviation "ster" or "str", the number "925", or the notation "925/1000". Look for a hallmark or fineness mark on the underside of the silver item you are considering to ensure the quality. Silver tarnishing is a chemical process in which silver darkens and dulls as a result of exposure to ozone, sulfur or hydrogen sulfide in the air. Chemically the silver itself is not very reactive, but the other metals in the alloy (usually copper) may react with environmental sulfer. The darkening is actually a chemical compound called silver sulfide. If tarnishing has occurred, be sure to use polishes formulated specifically to remove tarnish. You can find fine silver polishes, solutions, or cloths appropriate to remove tarnish at most hardware stores or specialty craft stores. Tarnish is more easily removed when it first forms. Regular polishing of all your silver items will prevent tarnish and keep your silver looking new. 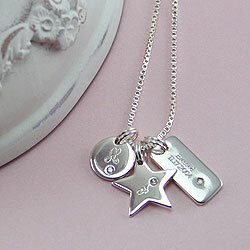 Rhodium coating on sterling silver is becoming popular to prevent tarnish.